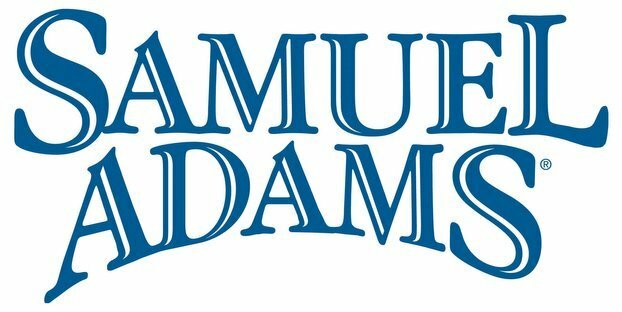 The Boston Beer Co. reported first quarter 2014 net revenue of $183.8 million, an increase of $47.9 million, or 35 percent, over the same period last year, mainly due to core shipment growth of 32 percent. Net income for the first quarter was $8.3 million, an increase of $1.4 million from the first quarter of 2013. This increase was primarily due to shipment increases, partially offset by increased investments in advertising, promotional and selling expenses and the impact of a favorable federal income tax settlement of $0.06 per diluted share in the first quarter of 2013. Koch on store sales: “You’ve got a very complex matrix when you are talking about stores, so we’re thinking off-premise. It’s a really complex matrix of store type and then region, because a convenience store in Alabama is a whole different animal than a club store in Portland, Oregon. So with that big caveat there, that there are enormous differences across this matrix. “In general, I think that we’re seeing continued increases in the shelf space devoted to craft beer. But we may be getting to the point where those increases are going to slow just because there is only a limited amount of space that can be taken out of the mass domestic beers before they start running into out-of-stocks or inadequate package or other SKU variety. “And there are some stores where you will go in that you really can’t see a whole lot more space coming out of that into the cooler. And unlikely that the store is going to build new cooler space to take in more craft beers, though that does happen. So I’m starting to see a little bit more warm shelf activity. It’s much easier to make space for craft beer on warm shelves that are already there in the store and carrying something else, but that is less shopped and less desirable space. Martin Roper, the company’s President and CEO, on depletions: “We do not expect that the depletions growth rates we experienced in the first quarter will be maintained for the remainder of the year, as we face tougher comparables and the first quarter benefit from new product launches is unlikely to be replicated during the balance of 2014. Accordingly, we have not increased our estimated full year 2014 depletion growth rate. Roper on supply chain performance: “Our supply chain performance improved during the quarter, but still remains below our expectations. The high demand levels, unseasonal weather and planned shutdowns for maintenance and efficiency improvements caused us to experience higher operational and freight costs than we had originally expected. While our growth continues to challenge us operationally, we have improved our service level to our distributors and decreased our product shortages. Projects at the breweries to add capacity in preparation for peak volumes later this year are starting to be commissioned, and we expect most to be fully operational during the second quarter. Compared to this time last year, we will have significantly increased our brewing, packaging and shipping capabilities and our tank capacity at our Pennsylvania Brewery and our Cincinnati Brewery. Roper on efficiency: “We’re not happy with how the breweries are operating from an efficiency throughput perspective in certainly some of the investments we’ve made, but also some of the equipment that has been there for a while just because of the distraction of the growth in all the other projects. And so, our capacity is a function of both the investments we’ve made, but how well we run it. And if we can make progress on how well we run it, then our capacity goes up. Depletions grew 34 percent from the comparable 13 week period in the prior year, primarily due to depletion increases across the Angry Orchard, Samuel Adams and Twisted Tea brands. Core shipment volume was approximately 835,000 barrels (bbls), a 32 percent increase compared to the first quarter of the prior year. The company believes wholesaler inventory levels at March 29, 2014, were at appropriate levels. Inventory at wholesalers participating in the Freshest Beer Program at March 29 was unchanged in terms of days of inventory on hand when compared to March 30, 2013. The company has over 65 percent of its volume on the Freshest Beer Program, and it believes participation in the program could reach between 70 percent and 75 percent of its volume by the end of 2014. Gross margin decreased to 49 percent compared to 50 percent in the first quarter of 2013. The margin decrease was a result of product mix effects, increases in brewery processing costs and increases in customer program and incentive costs, which were only partially offset by price increases. Advertising, promotional and selling expenses were $17.8 million higher than costs incurred in the first quarter of 2013. The increase was primarily a result of increased investments in media advertising, point of sale and local marketing, increased costs for additional sales personnel and commissions and increased freight to distributors due to higher volumes. General and administrative expenses increased $1.2 million compared to the first quarter of 2013, primarily due to increases in salary and benefit costs and consulting expenses. Year-to-date depletions through the 16 weeks ended April 19, 2014, are estimated by the company to be up approximately 33 percent from the comparable period in 2013. Depletions and shipments growth of between 16 percent and 20 percent. National price increases of approximately 2 percent to offset increases in ingredients, packaging and freight costs and increased investments behind the company’s brands. Gross margins of between 51 percent and 53 percent. Increased investment in advertising, promotional and selling expenses of between $34 and $42 million. This does not include any increases in freight costs for the shipment of products to the company’s distributors. Estimated 2014 brand investments attributable to existing Alchemy & Science projects of between $4 million and $7 million, which are included in our full year estimated increases in advertising, promotional and selling expenses. These estimates could change significantly and 2014 volume from these brands is unlikely to cover these and other expenditures related to these projects that could be incurred. Capital spending of between $160 million and $200 million, which could be significantly higher dependent on capital required to meet future growth. These estimates include capital investments for existing Alchemy & Science projects of between $7 million and $9 million. Thanks to Seeking Alpha‘s transcripts for several of the quotes.